Dr. Knox, who assists the Health Commissioner, has made a long, elaborate, and technical report on the condition of the lake water supplied to Chicago, which attests a careful investigation. This makes especially valuable his assertion that the crib water is “the purest furnished to any city in the United States.’ He has discovered two things, however, or rather directed new attention to them, which will not admit of this assertion being made truthfully after a while, if measures be not taken to abate them. One of the unfavorable conditions, and the principal one, is the Ogden ditch, which causes the Chicago River to empty into the lake whenever there are hard rains or a freshet. Millions of dollars were spent in order to change the current of the Chicago River, so that the waters of the lake might wash it out with a reasonable current, and the failure to dam up this ditch occasions every once in a while an emptying of the filth of the river into the lake where the water supply is taken, or at best leaves the river stagnant and putrid. A temporary dam could be erected at the cost of a few thousand dollars which would serve the purpose until provision can be made for a permanent stoppage of the ditch, letting the Aux Plaines River meander along in its own harmless way. The other nuisance referred to is the practice of the distilleries located on the North Branch dumping the refuse of their business and cattle into the lake near the shore. 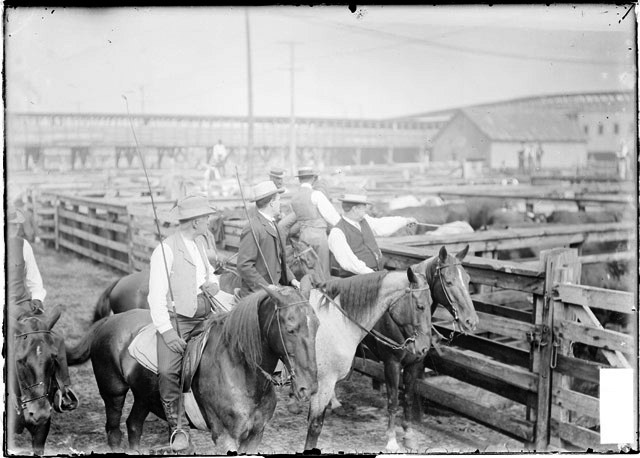 The slaughtering houses on the South Branch do the same thing; and Dr. Knox estimates that these establishments contribute a weekly supply of 500 tons of filth, garbage, and decaying animal matter to the water which the people of Chicago drink. These people can be prevented from dumping their stuff anywhere within three miles of the shore, and stringent measures should be taken to enforce this authority over them. 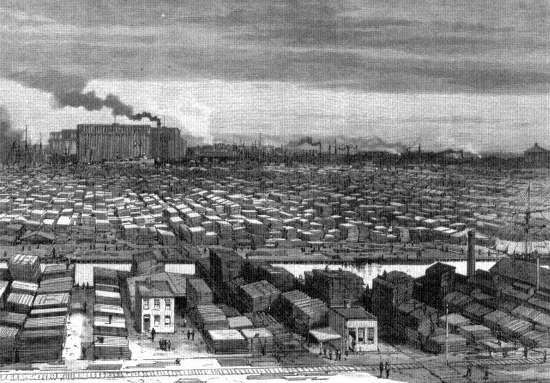 The Ogden ditch was constructed across the extensive land holdings of one of Chicago’s earliest settlers, William B. Ogden, who also served as the city’s first mayor. Constructed in 1868 about a dozen miles west of the city, its purpose was to drain a significant chunk of the Des Plaines river valley which otherwise lay under water for much of the year. It achieved its purpose by connecting with the west branch of the Chicago River, so while city fathers were doing anything and everything within their power to limit the amount of river water flowing into the lake (something that was not achieved until January of 1900 when the Chicago Sanitary and Ship Canal was opened) the Ogden Ditch, especially during heavy rains, frustrated these attempts. As far as the distilleries were concerned, think about this – in 1878 the eight registered distilleries in Chicago produced 10,952,799 gallons of distilled spirits. That’s a lot of booze that sucked up a lot of grain that used in its production. In a seven year period between 1877 and 1885 Chicago distilleries consumed 16,884,364 bushels of grain, including 13,222,937 bushels of corn, 2,315,362 bushels of rye, 1,102,912 bushels of malt, 216,889 bushels of oats, 10,930 bushels of wheat, 3,141 bushels of barley and 2,193 bushels of mill-feed. After the mash was created and the fermentation process completed, all of that expended mash had to go somewhere. 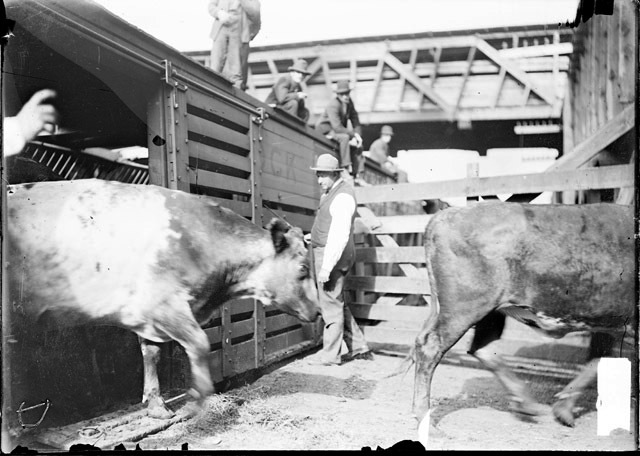 The distilleries solved the problem by keeping large herds of cattle next to their facilities along the river and fed the mash to the cattle. All those cud-chewers obviously took the mash and created a by-product of their own, which went directly or indirectly into the river. The mash that wasn’t consumed was dumped into the river as well. Interesting phrase . . . a high state of perfection, a perfection that helped keep the stock healthy, but which didn’t do much for the 300,000 or so souls that depended on the quality of the water coming from the lake. On the other hand, there was a lot of whiskey to take the citizens’ minds off things. So that gives a fairly good idea of the indignities that the river suffered in June of 1877. It would only get worse.